The structure indicated is the flexor pollicis brevis muscle of the hand. 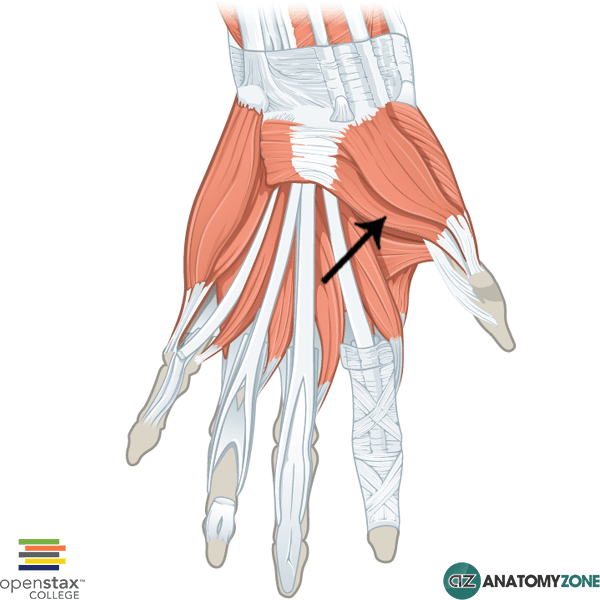 The flexor pollicis brevis muscle is one of the intrinsic muscles of the hand that belongs to the thenar group. Origin: Flexor retinaculum. Tubercles of scaphoid and trapezium.